With over 60 years combined experience the i-dream kitchens team can plan and design the perfect kitchen for your home, in the style you like with elegance, quality and the appliances you desire. 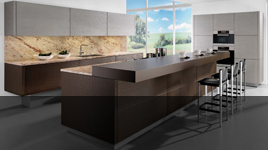 High end, stylish designs, allmilmo kitchens offer the high end custom designed kitchen the ultimate in feel, look and quality, we have worked with this brand for a long time in our top range kitchen designs. 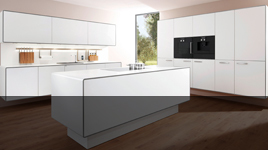 Voted Germanys no.1 brand at The Colgne Furniture Fair in 2015 Ballerina kitchens offer quality and style at an affordable price, we love to use this kitchen cabinetry in our design work. 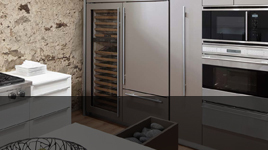 Getting the right appliances for the design and your requirements is a skill, we have access to a wide range of appliances from the best names on the market, helping specify the right ones adds that extra touch to your new kitchen design. Check out our kitchen design gallery full of beautifully designed kitchens to inspire and desire, showcasing the ranges from allmilmo and ballerina as well as some custom designed kitchens. 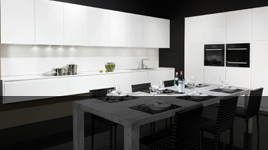 i-dream kitchens was started in 2009 by Phil Bounds after a career in sales and interior design. Designing high quality kitchens for clients demanding that little something different, he was one of the 1st designers to design kitchens in 2 colours back in the early 90’s along with the use of mirrors to enhance rooms. 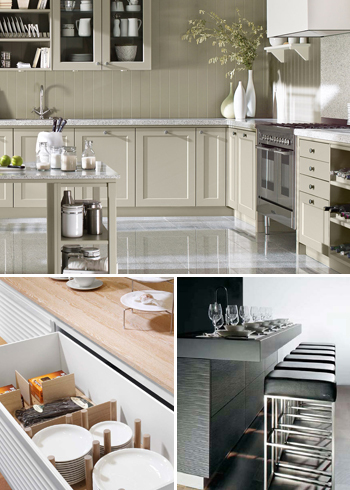 Phil has worked with many German brands before choosing to work with Allmilmoe luxury kitchens & Ballerina German kitchens. Traditional handmade English kitchens are also part of the package. With appliances by Neff, Siemens, AEG, Electrolux, Miele & Caple & sink hardware by Blanco, Franke, Reginox & Schock, the portfolio of products is completed with granites from around the world, Corian, Silestone & Ceasarstone quartz surfaces. With the growth of the Chesham showroom through recommendation, Peter Vincent-Jones was appointed Sales Director in 2014 and now runs the branch. Peter also has some 30 years high quality design experience in both modern and the very high end of hand made furniture’s.